Lea knows me all too well, because I seriously loved everything that was in my gift bag. Wine is a must, and we shared the bottle together during our afternoon hangout (“It’s five o’clock somewhere”!). I love knick knacks so the gorgeous elephant candle holder and minion ornament were perfect. And, what girl doesn’t love bath and body products?! I’m always looking to add to my B&B care hoard, so it was great to put some extra goodies in my stash. Many of us love the idea of heading to the spa for a day of total relaxation. Slipping on that white fluffy robe and slippers, indulging in a massage, a facial, a manicure, or pedicure. Lounging around on those beds reading a magazine and maybe enjoying a glass of champagne. It can be a girls’ dream day, but it can also be an expensive one. However, there is no reason why you can’t get the same level of relaxation at home from your very own bathroom. One of the biggest transformations that you can make to your bathroom, and also the most expensive way to achieve a new look, is to replace the bathroom entirely and fit a new suite. You could use this opportunity to change the layout and even consider something a little different like a free-standing bathtub – companies like Kardiel have a great selection! Whichever way you want to go, replacing your bathroom can be the ideal way to create an at home spa experience. While it can cost you a fair bit to remodel, it can also increase the value of your home, meaning the investment is never truly lost. Talk about a win/win! If you don’t want to replace the whole bathroom, you could choose to update it in other ways. Changing the tiling you have on the floor, swapping the basin for a vanity unit, or painting the walls in a more neutral tone could really brighten up the bathroom area and change the way that it looks and feels. You don’t even have to be as extreme as getting the paint brush out, sometimes just investing in some new towels and colorful accessories or prints for the wall can give your bathroom the update that it needs. One of the great ways a spa can help you relax is because they have a clever use of low lighting, and one way to achieve that is through candle light. You could consider oil burners, which takes advantage of the light as well as an essential oil scent to help you relax even further. Lavender or eucalyptus are always good ones to consider. Candles also help to relax the mind, so having a nice warm bath by candle light could be the perfect remedy for a stressful day. While you may be thinking that the last thing you want to be doing while relaxing in your bathroom is to be messing around on your phone, please reconsider! There are some great apps that you can download to recreate the sounds of a spa. Mood music or even listening to some guided meditation can be a great way for you to channel your thoughts and enjoy your R&R time. Part of the spa experience is to enjoy a treatment or two, and while a massage might not be in the cards unless you have a willing partner, there are other treatments that you can easily do at home. You could consider putting on a face mask, which is a great way to deep clean your skin and pores, and adding a few slices of cucumber over your eyes might help you feel like you are actually at the spa. You could also give yourself a pedicure or manicure by filing and shaping your nails and adding a splash of color with some vanish. There are some great DIY beauty methods you could also try like coconut oil added to your hair for a conditioning treatment or creating a body scrub from coffee. You can find a ton of articles online full of ideas and recipes! Finally, whether you enjoy a glass of bubbles, your favorite wine or beer, or even just a hot chocolate or a good cup of tea, arm yourself with your favorite drink, put on your best robe, and get ready for a soothing evening in. Enjoy! There’s a lot that can be determined about a home based solely on the smell of it. You can tell if kids are present or not, if the owner likes to bake in their spare time, how often they clean, and what products they are partial to to get it smelling the way that they want. Our sense of smell is a powerful tool. It lets us know if something is bad or good, but also helps to take us back in time to a nostalgic point that we associate with certain scents, bringing back memories that we want to indulge ourselves in or would otherwise wish to forget. So, in essence, it’s quite an important thing to get right in your home; to help us feel safe, to feel comfortable, and happy with where we live. Eliminate The Bad Odors: It can be particularly hard to pinpoint a scent if you don’t know where it’s coming from. A lot of offensive odors aren’t immediately obvious to us because they’ve had to take time to develop to get to what you’re smelling – so they often aren’t within our sight or a place that we can easily reach. One prime example is a toilet; a lot of odors are stopped within a plumbing trap, but if it’s defective or there is something else wrong in the system, then it can be hard to get to the source of the problem; there is more information about different types of plumbing traps at http://theplumbinginfo.com/plumbing-traps/ to give you more of an idea as to what can be done to solve the problem. Just fixing this one issue could completely get rid of the smell that was causing the disruption to your home. This is just one example, so try and think outside of the box when it comes to narrowing down where a smell is coming from, especially when there are pipes involved. Always hire a professional to come and deal with the problem at hand so as not to create more work for yourself. Focus On Your Favorites: Think of your favorite scent; the one that makes you happy but would also appeal to others who are visiting your home. It’s this that you need to aim for and spread around your house. It’s available to do in a lot of different forms; candles, wax melts, air fresheners, and so much more, so there really is no excuse not to have some on hand to give you that extra boost. There are a good selection of different smells for you to peruse at https://yankeecandle.com that aren’t just limited to candles, so you don’t have to worry about the safety aspects of ensuring that a flame is correctly put out in order to get your home smelling amazing. Consider Your Hygiene: Unpleasant smells are more likely to jump out at you than nice ones, but often our noses are trained to accept them if we don’t deal with it straight away. It may take a good time away from our home to realize that that’s what our abode actually smells like to other people, so it’s always important to keep on top of a good cleaning routine in order to ensure that you are keeping the space that you live in not just smelling good, but hygienic for you. There are certain things around the house which trap odors within the fibers, such as carpets, rugs, and curtains, so it’s imperative that you are keeping on top of the cleaning of these items. That way, you are ensuring that you are removing any staleness that may be clinging on as well as caring for your fabrics. Mental Health: There are certain scents that have been proven to relieve stress and anxiety that you may be feeling. It’s been long said that lavender helps you to relax and drift off to sleep more easily, so why aren’t we using this knowledge in other rooms of our home? Vanilla candles are the most common scented ones that you can buy, and these have been cited to help put us in a better mood and even combat some pain signals that are being sent around our body. There’s never been a more important reason to get your home smelling nice and fresh, if it’s impacting your health directly! Beach scents are also very popular! Focusing on the scent of your home will make for breathing easy for your family and guests! Blow the Budget on a Good Mattress: If you do nothing else to transform your bedroom into a more restful space, you should splurge on a brand new mattress. If you’ve never had a really good mattress before, it’ll be impossible for you to truly understand how much difference a comfortable, supportive mattress can make. When buying a new mattress, it is always a good idea to visit a bricks and mortar store to try out a few styles, because everyone’s comfort levels are different. Once you know which mattress suits you best, you can always check out http://www.us-mattress.com/ to save a few bucks off the in store price of your chosen bed. Invest in Better Bedding: Of course, the comfort of your bed is about more than just the mattress, which is why you should also take a look at http://www.down-comforter-info.com/ where you will find the warmest, softest comforters you’ve ever had the joy to sleep with. You should also probably check out more supportive pillows and high thread count sheets made from natural fibers if you want to be able to rest and relax without any aches, pains, or irritations. Can the Clutter: It’s impossible to rest and let yourself go when you’re surrounded by clutter. Not only are piles of clutter visually stimulating, whether you want them to be or not, they can also be a source of stress, which gives you the feeling that you should be cleaning instead of taking some me time. Luckily, getting rid of your bedroom clutter is as simple as visiting http://www.ikea.com/ and buying a few storage baskets and boxes where you can hide your most unsightly clutter. Ditch the Desk: If you have a desk in the bedroom from which you sometimes work, it might be time for a rethink. By associating the bedroom with work, even just occasionally, you are ruining the area’s reputation as a restful location for relaxation and sleep. Ditch the desk and replace it with a pretty dressing table for a serener space and leave work for the home office! Serene in Green: If your bedroom decor is currently bright, bold, and in your face, a visit to http://www.homedepot.com/ might be in order because those crazy colors are doing nothing to help you relax. In the bedroom, you want to keep things nice and chill. Toned down colors like mint green, pale blue, white, and cream are all good options that won’t stir up the senses too much. Add Comfy Furniture: One mistake that many homeowners make is that they do not add enough comfy furniture to their bedrooms. Sure, they’ll have a nice bed and perhaps a chair at the dressing table, but what about the big comfy armchairs, couches, and chaise lounges? These are the things that will make spending time in your room easier, more comfortable, and infinitely more relaxing. So if you have space, add a couch or recliner and you’ll get much more use out of your bedroom. Blackout Blinds: If you like to relax in a slightly darkened room with some classical music and a nice scented candle, blackout blinds are your best friend. They will filter out the harsh light of the sun, allowing you to create a comfy, cozy atmosphere at any time of the day or night. They’re great if you have trouble sleeping due to excess light, too. Candles: Candles should be a staple in any bedroom. They provide a good source of soft, warm light, which is perfect for relaxing after a hard day at work. AND, they can make your room smell wonderful. 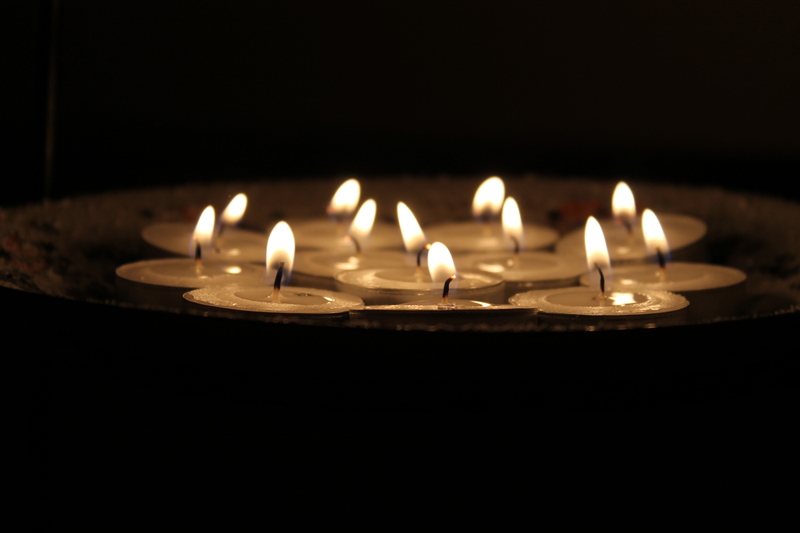 Choose candles scented with lavender and chamomile if you want to de-stress and fall into a restful sleep. Transforming your room from uninviting to restful and relaxing may take a little time and effort, but it is well worth it when you have a space where you can truly unwind and sleep like a baby! Zzzzzz…. A Decent Bag: One of the major rules of college is that you will spend half of your time lugging your laptop and a boat load of big thick textbooks around with you. That is why you need a bag like a sturdy backpack for heavy books and all of your lecture notes. If you think that you are going to be able to work it out Legally Blonde style with a trendy backpack, then you are just setting yourself up for a world of pain. I’m not saying don’t take a cute handbag or two (or ten), because you can always use them on your nights out. Just make sure that you have something a bit more sensible for the day time when you’re hauling all of your homework. Shower Shoes: Okay, things are going to get a little gross here, but that’s what a dormitory bathroom is! Sharing bathrooms and showers is a hazard in college that most people cannot avoid. Yes, dodging dirty underwear left in there by mistake just might happen. But you just don’t know who has walked on the floor in their bare feet. That is why it is a genius idea to take some thongs with you to wear in the bathroom! Not today, athlete’s foot. Not today. A Frying Pan: Did you know that you can pretty much cook all meals in a frying pan? Get one deep enough like a wok, and you can boil vegetables and make sauces in it, too. In fact, it’s the most useful piece of kitchen equipment that you should have apart from a tin opener and corkscrew! So make sure to pack yours when you head back for the first day of term. Your Laptop: Obviously, the only time that you hand write anything at college these days is in exams, the rest of the time you will want to be taking notes and writing up your essays on your computer. For security and portability reasons it’s best to invest in a laptop. Then, you can take it home during the holidays as well as along to lectures. It really is the college essential that you can’t do without. Pictures From Home: Obviously, you’ll have pics of your family on your phone and computer. But, it is always nice to have paper copies, as well. Get some prints of your favorite images done, so when homesickness hits, you can glance over and remember that you’ll be back with them soon. You can display them in a frame or with mini pegs on a string for a cute boho look. ^^^ Kind of like this! A Scented Candle: Lastly, just because you are a student does not mean that you can’t have a little luxury in your life. Why not treat yourself to a nice scented candle. Not only will this relax you when you have a test or a deadline to study for, but it will also stop you from having to smell the scents of everyone else’s cooking in your accommodation. Which can be a total godsend! And don’t forget coffee or tea for binge studying sessions!